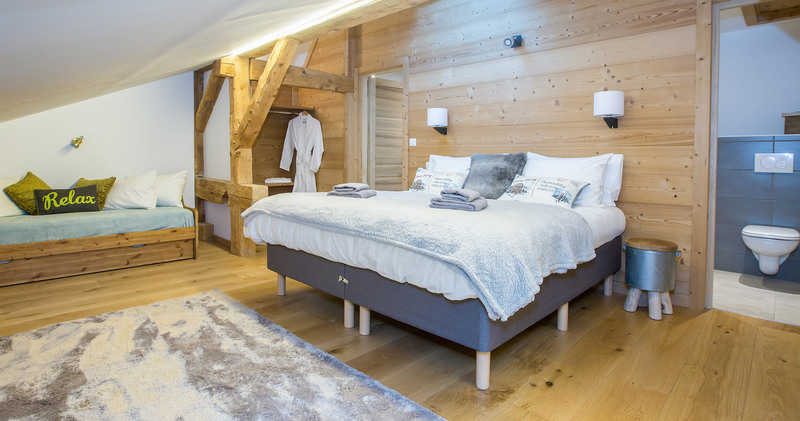 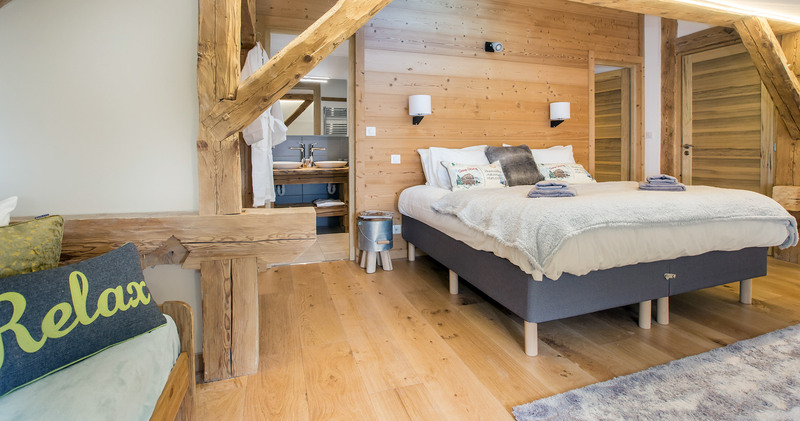 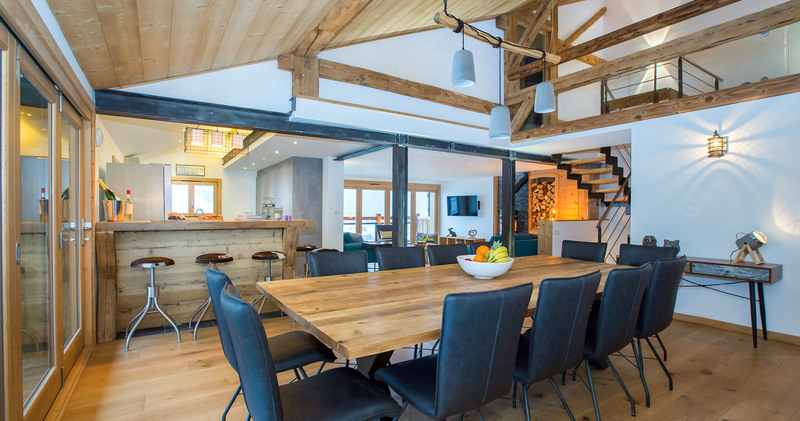 Built from scratch out of the rock by local artisans, our flagship chalet, Chalet Caché nestles into the mountainside, with panoramic views of Morzine and its surrounding iconic peaks. 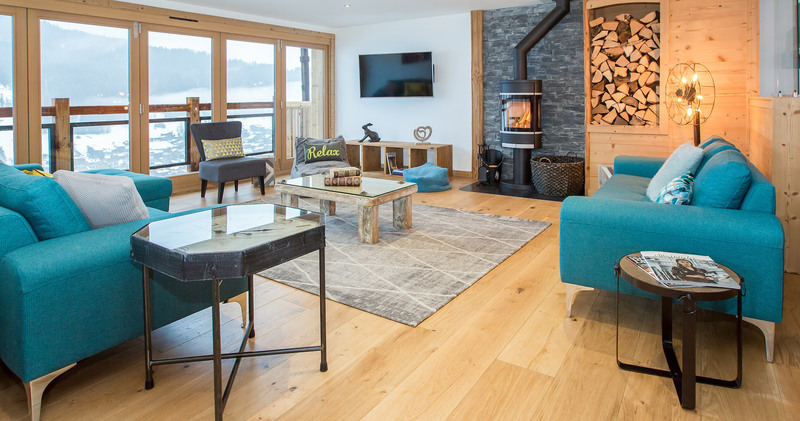 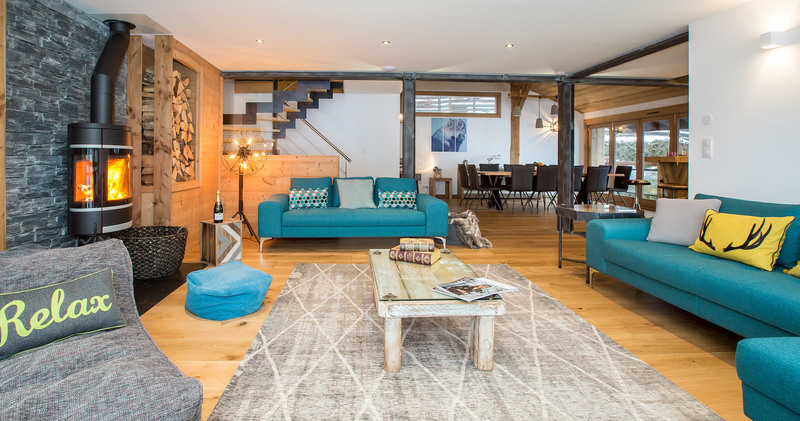 Designed by a renowned Morzinois architect, the chalet offers stunning, contemporary yet luxurious accommodation. 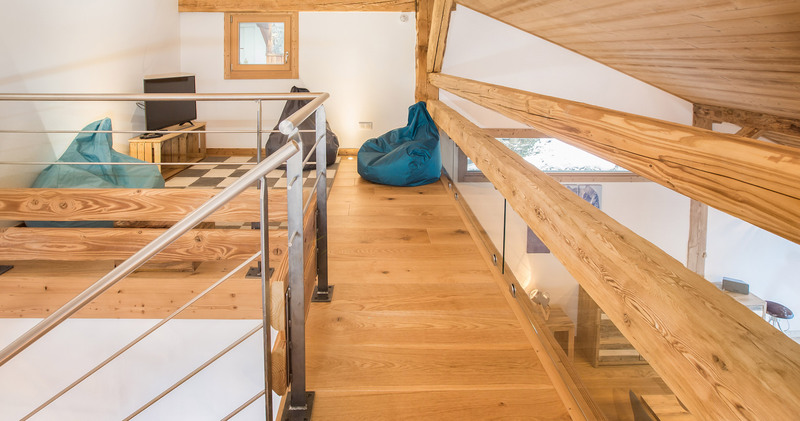 As the chalet is terraced, entry into Caché from road level is by its own private, glass encompassed lift which in itself acts as an awesome viewing platform before arriving warm and snug straight into the cloakroom. 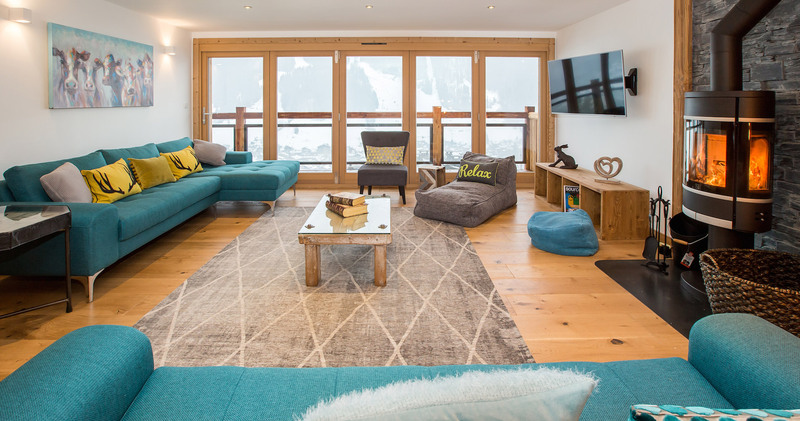 Positioned on the sunny side of the valley, this chic chalet stylishly combines glass, wood and stone to create a breathtaking, open plan living area. 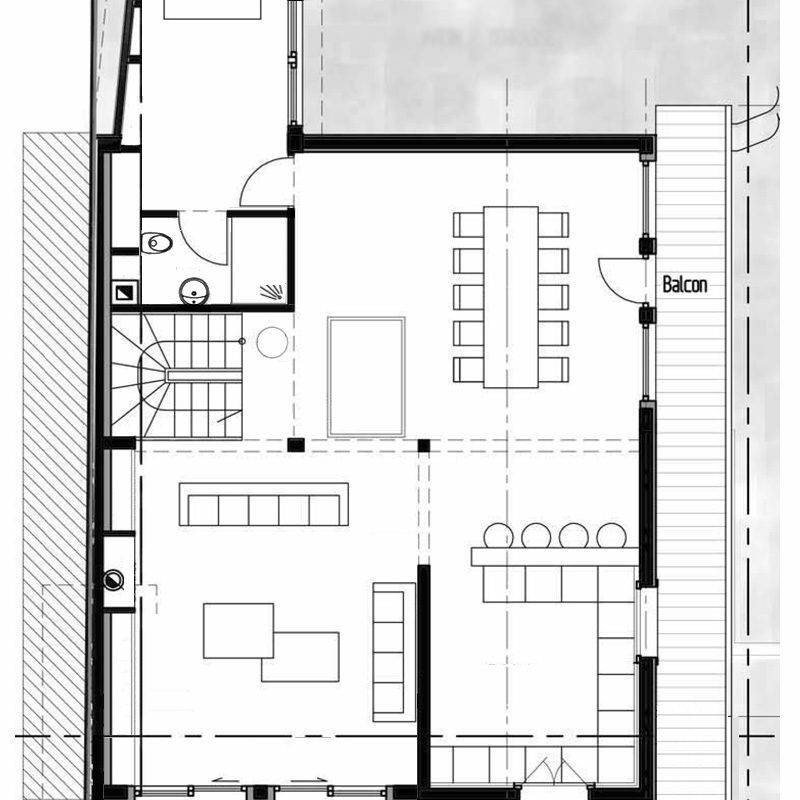 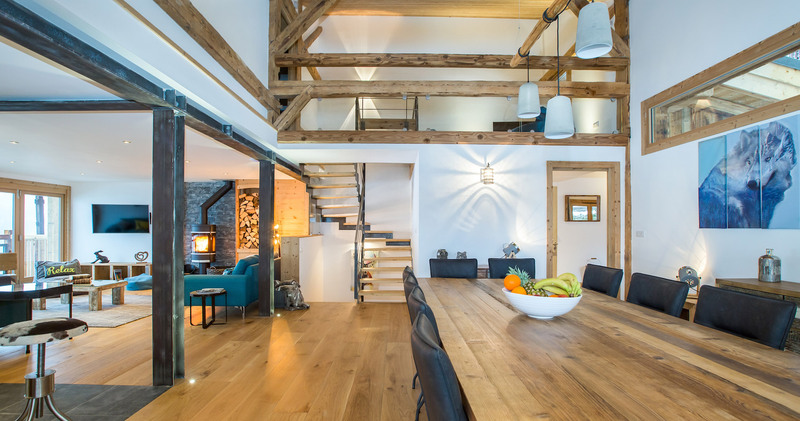 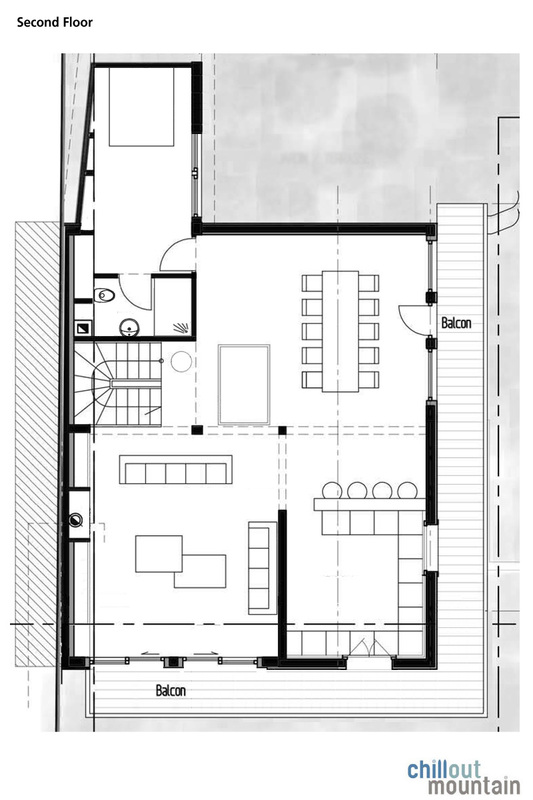 The clever use of split levels adds a different dimension – both the kitchen/dining area and salon occupy the top floor, benefiting from the height and character of the roof beams yet remain as separate entertaining zones. 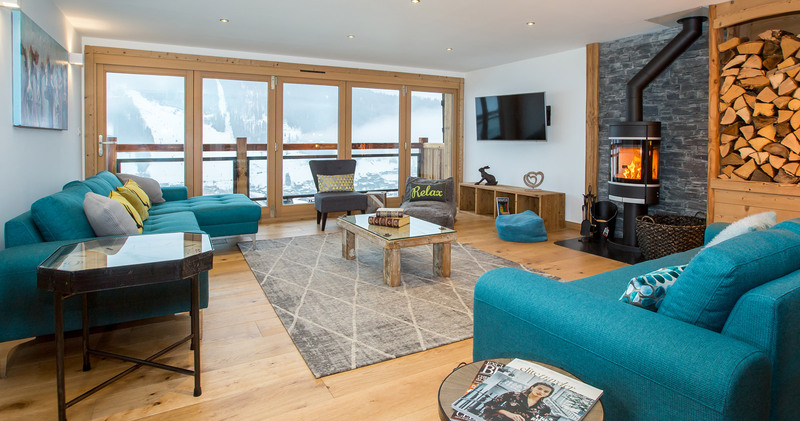 Glass and wood balustrades meet floor to ceiling windows leading onto infinity style glass balconies, all of which acts to merge the indoor and outdoor, enhancing the feeling of ‘being’ in the Mountains. 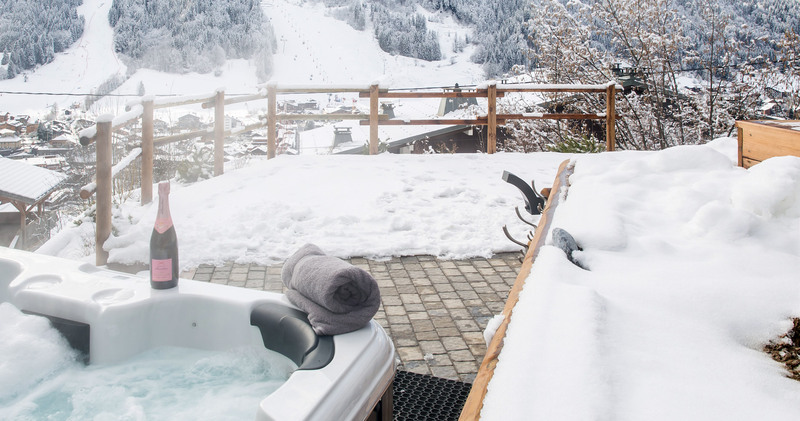 Pleney slopes are directly opposite so we are in prime position to watch the weekly fireworks and torchlight ski show either from the balconies and deck or whilst relaxing in the hot tub. 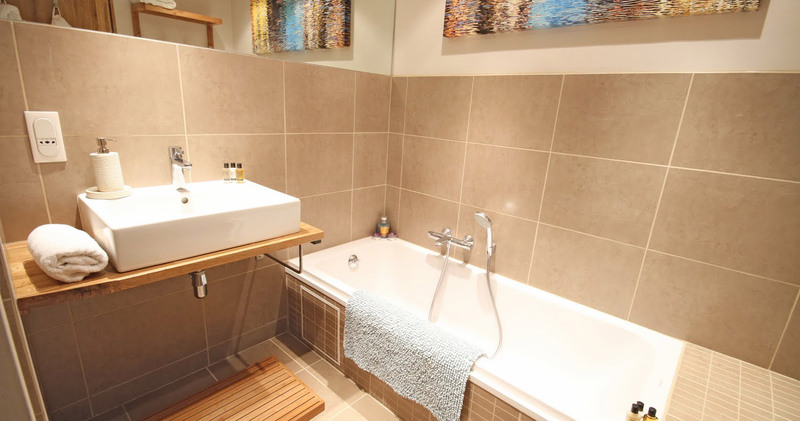 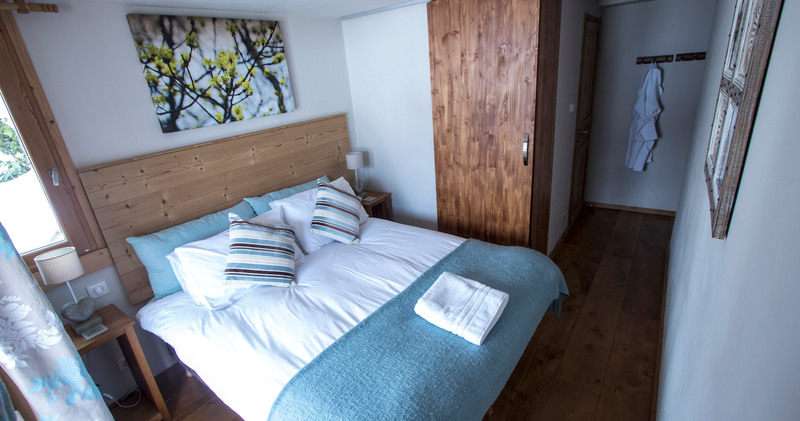 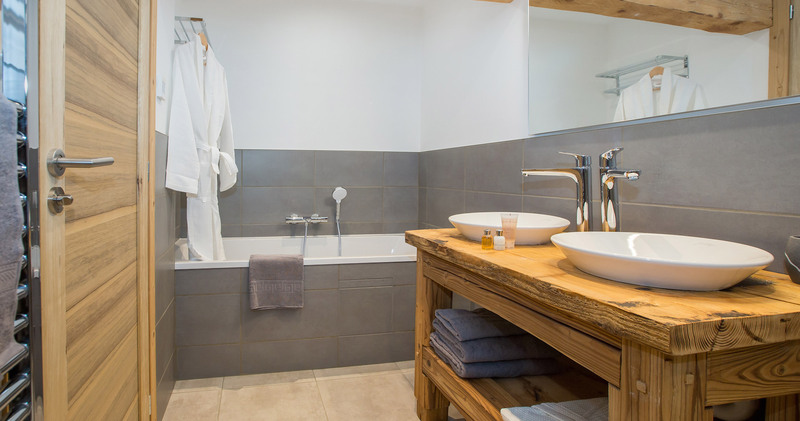 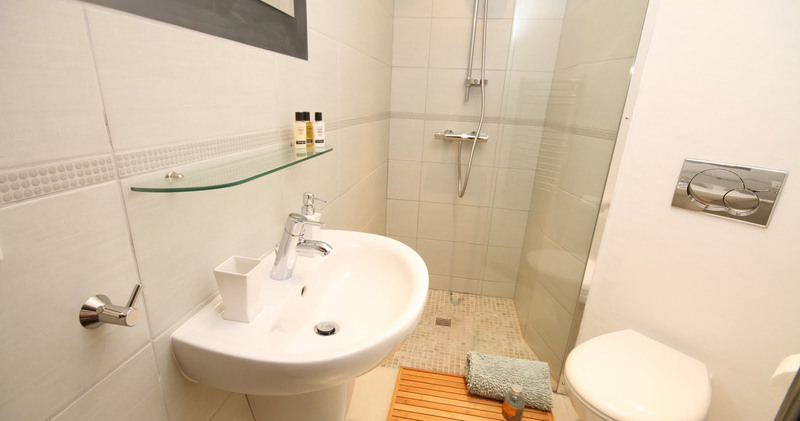 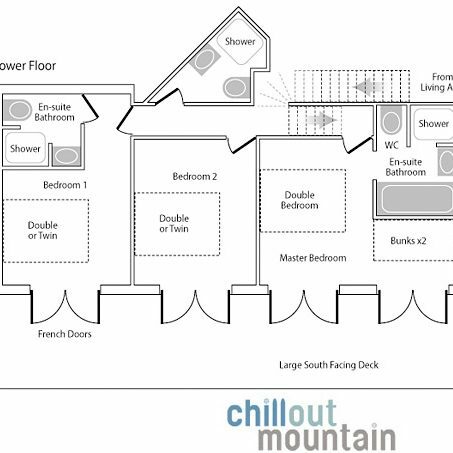 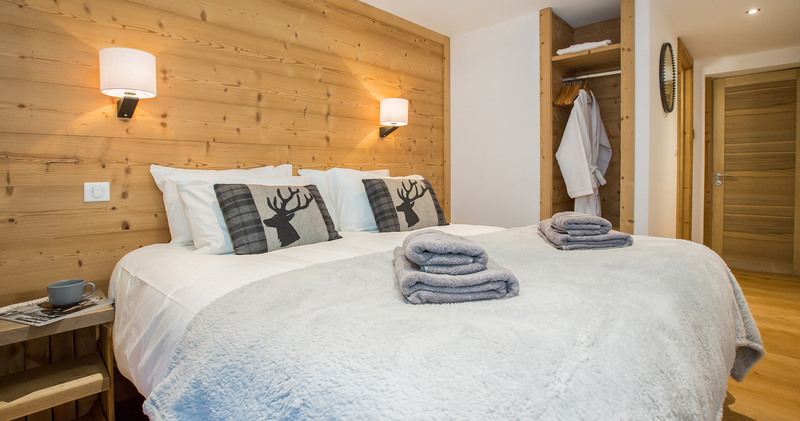 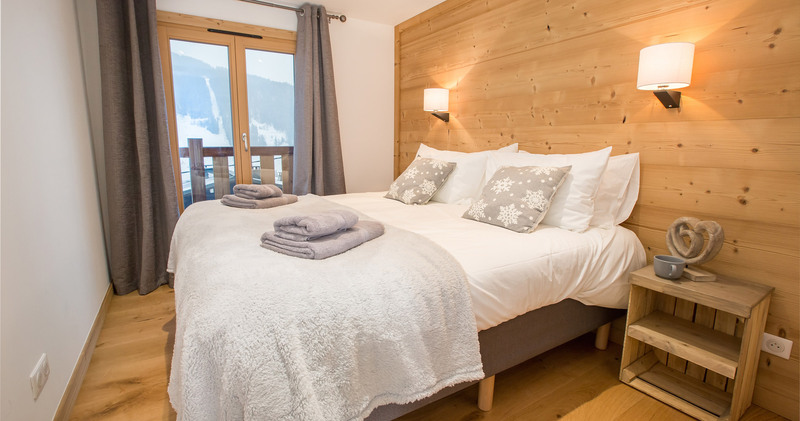 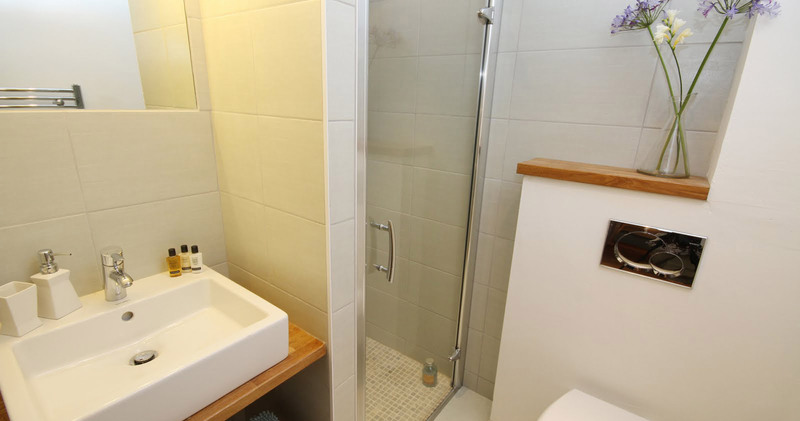 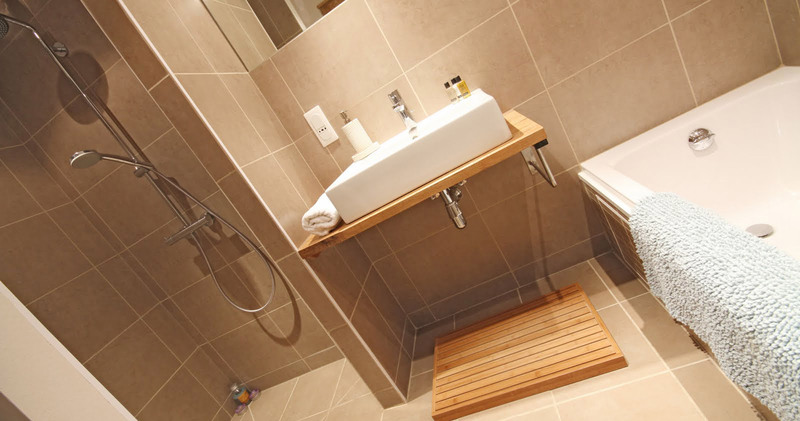 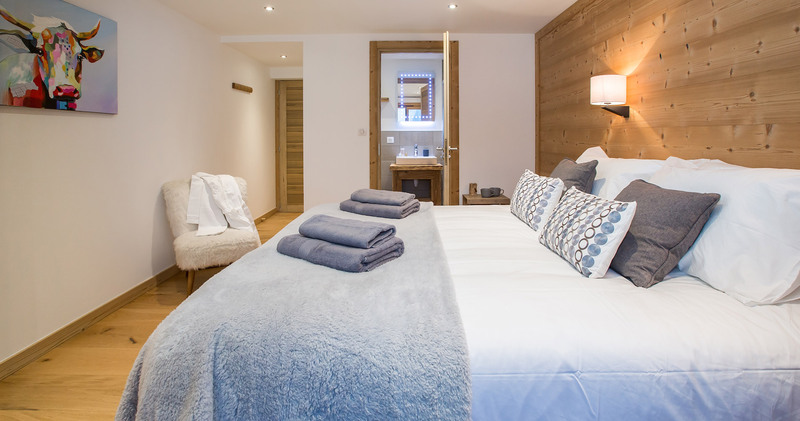 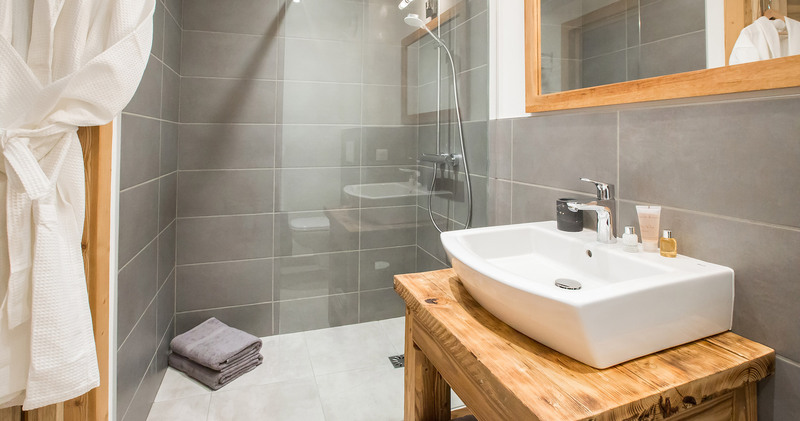 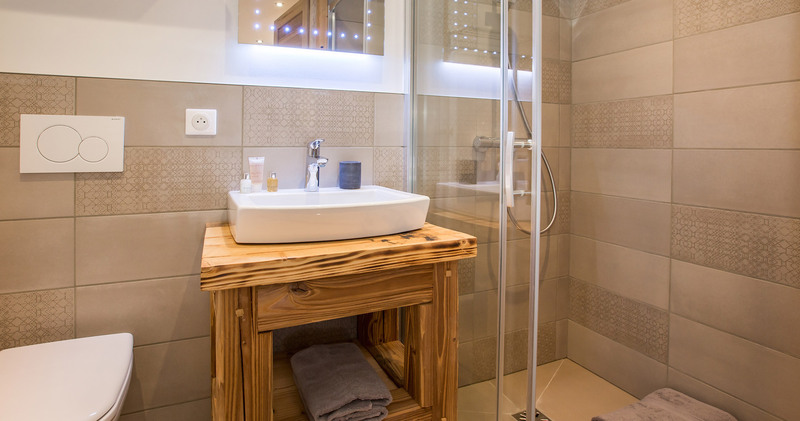 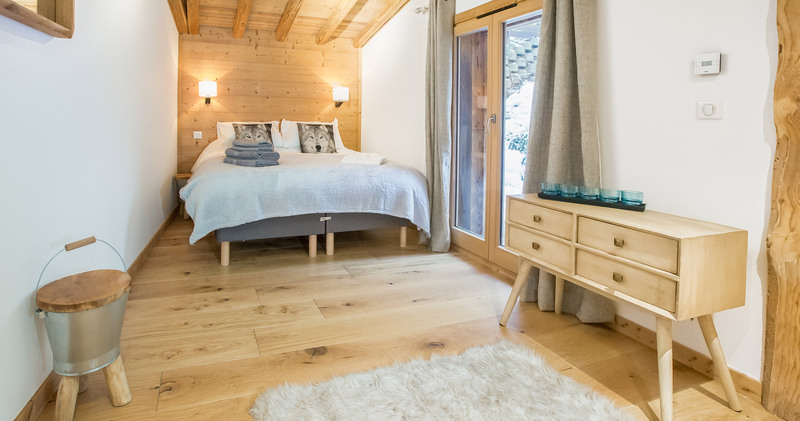 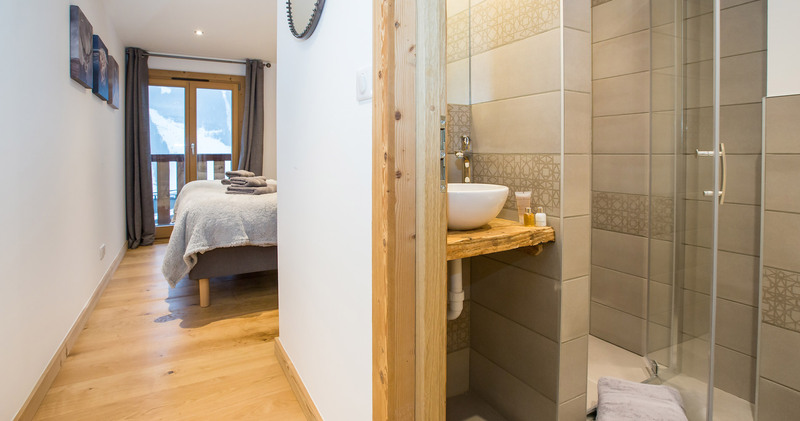 Three stylish double bedrooms are the bedrock of the chalet, each with its own bathroom kitted out with top end showers/ wet rooms and bath. 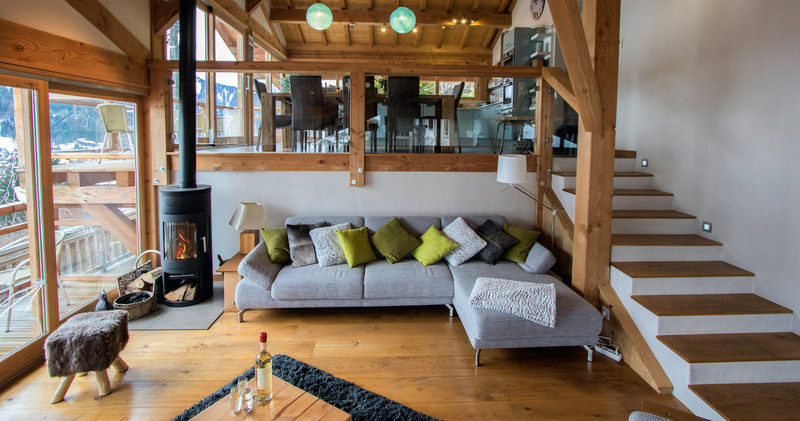 French doors lead out on to private wooden decks, perfect for a bit of sunbathing or chilling after a hard day’s skiing. 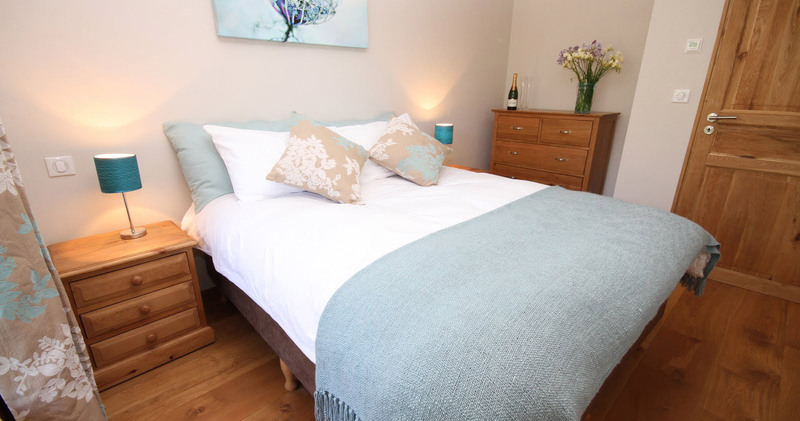 Beds are oversized and can be used as doubles or singles, dressed with toppers and high quality linen. 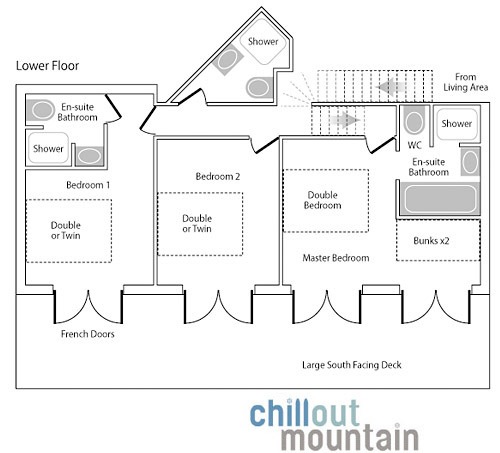 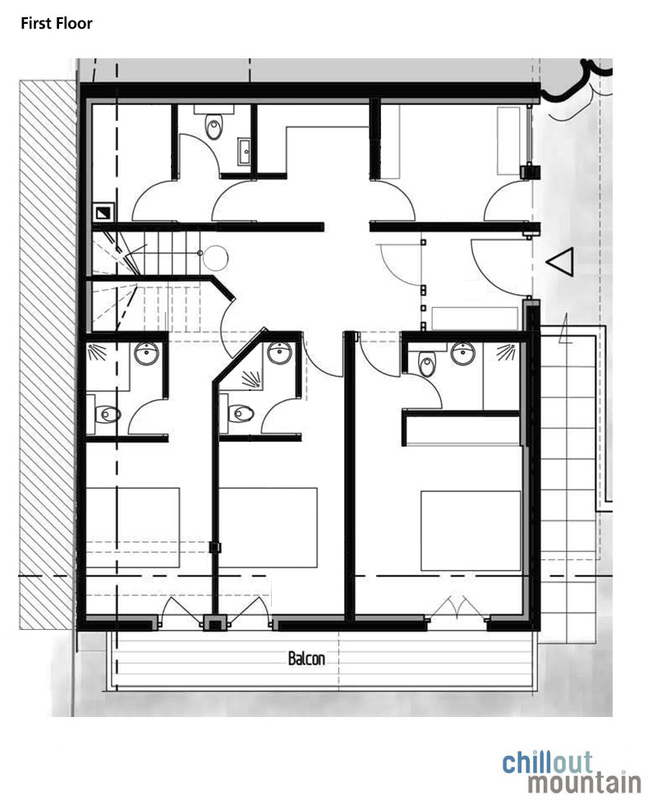 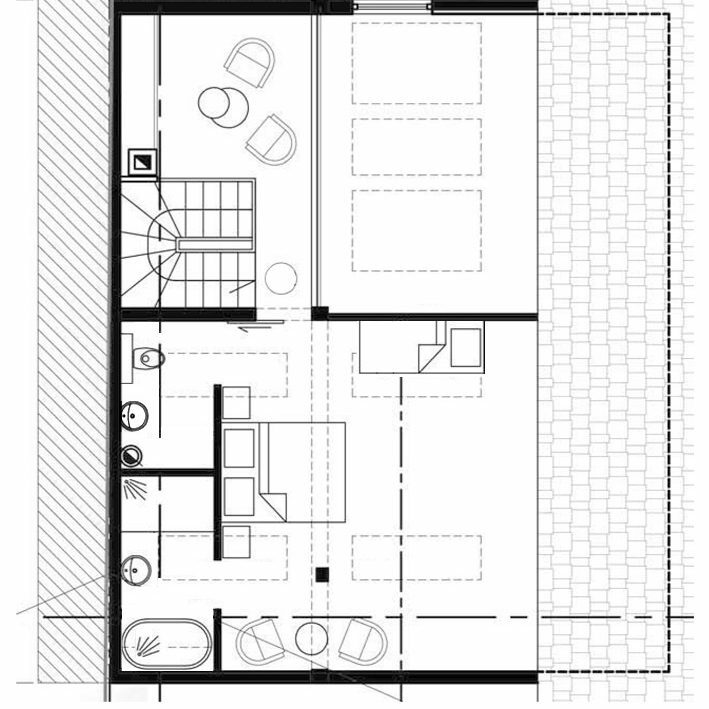 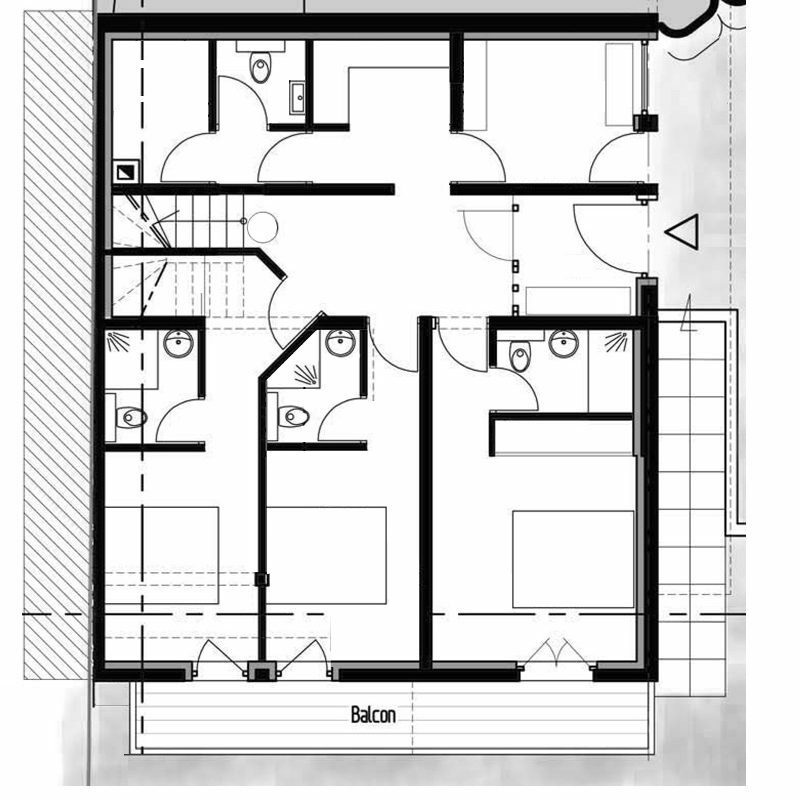 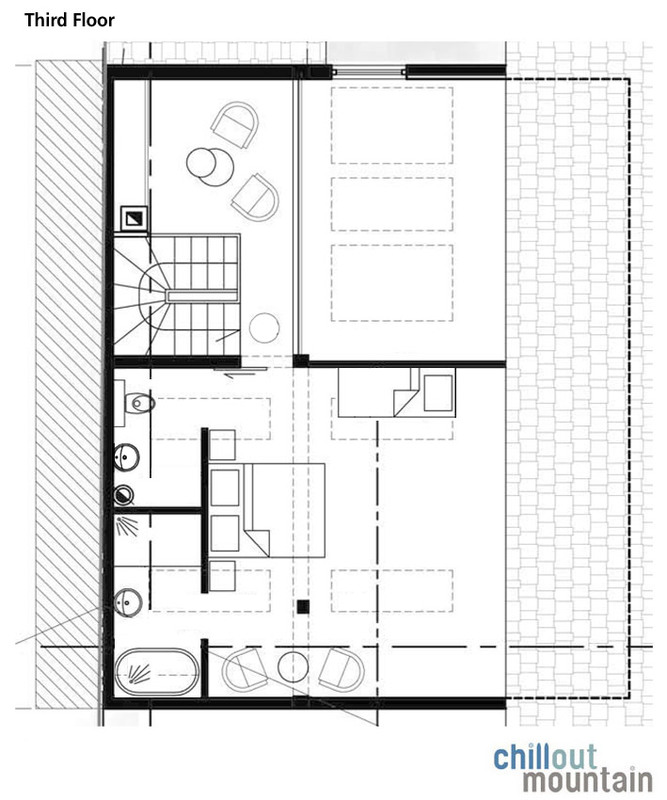 The master bedroom has its own TV and DVD and a bunk corner so can also be used as a family room. 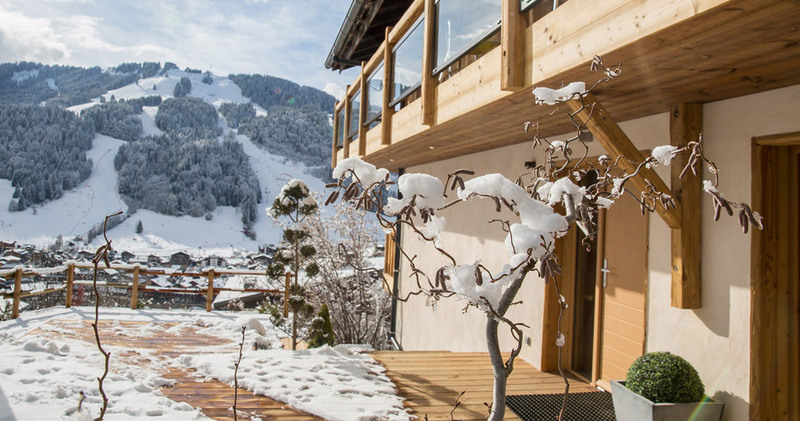 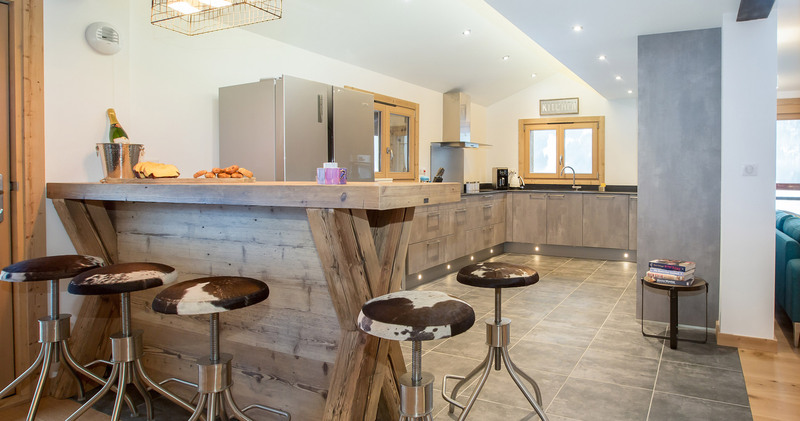 Chalet Caché is sold as a fully catered chalet for exclusive use for full weeks or short breaks (Thursday to Sun/Sun – Wednesday). 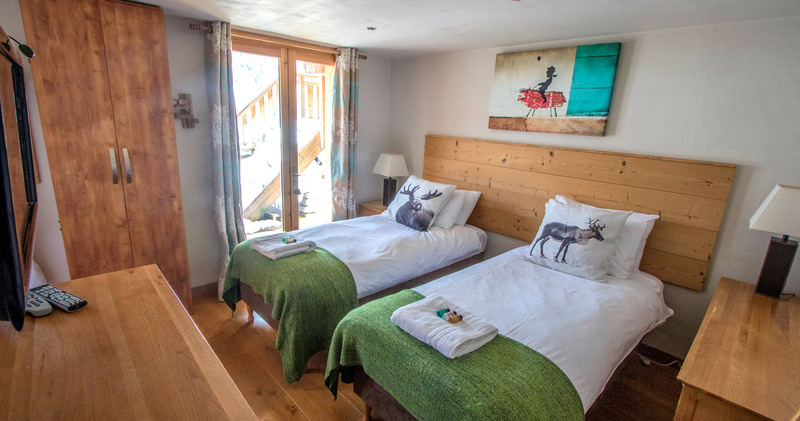 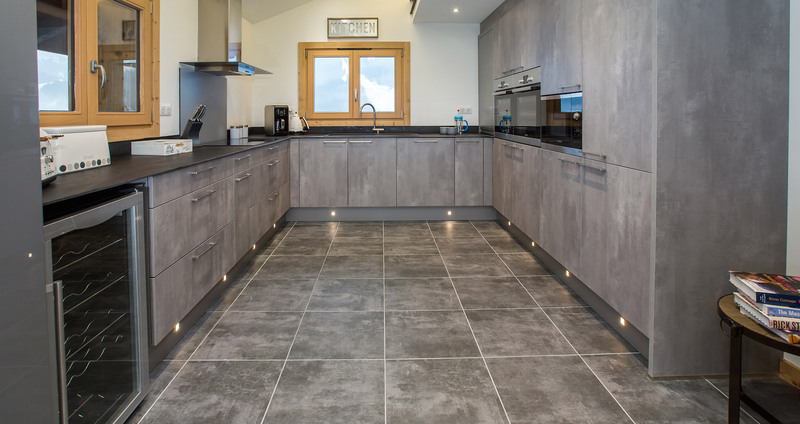 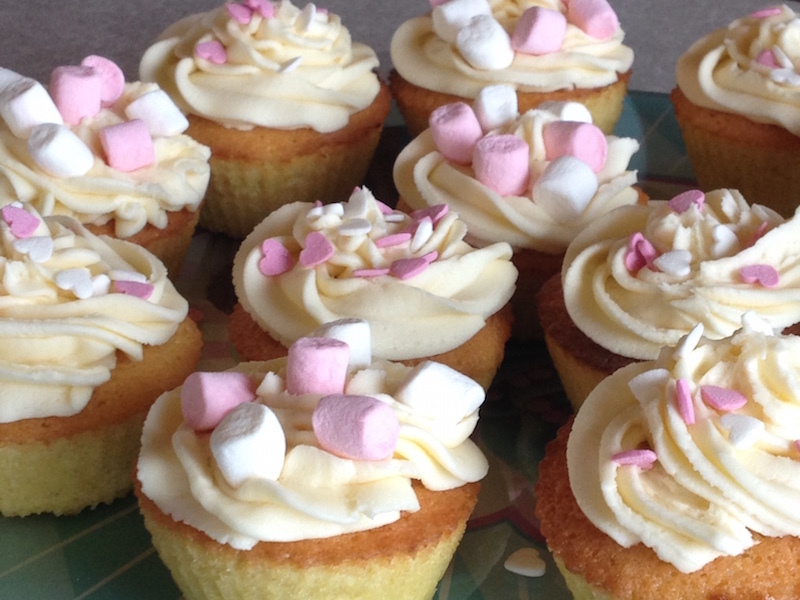 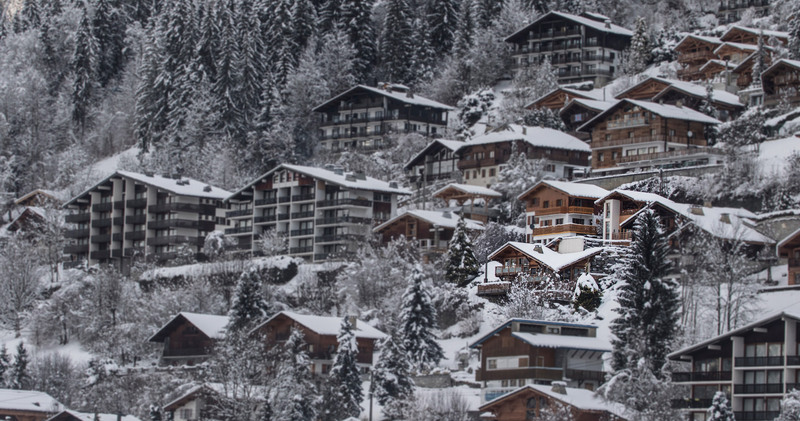 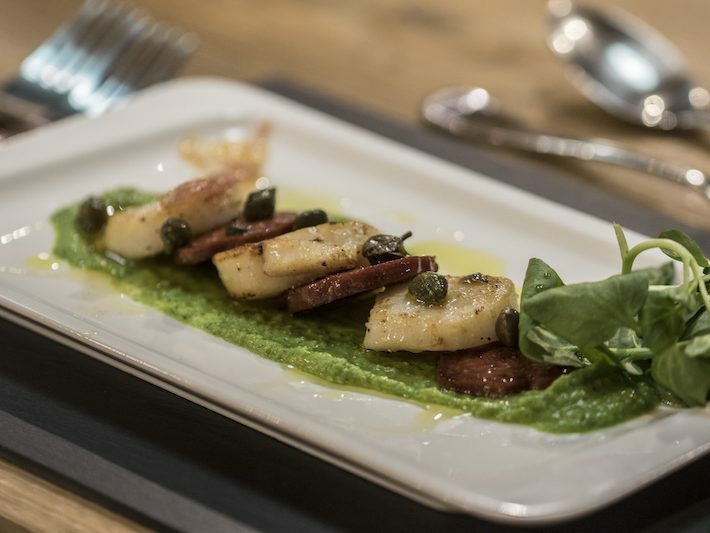 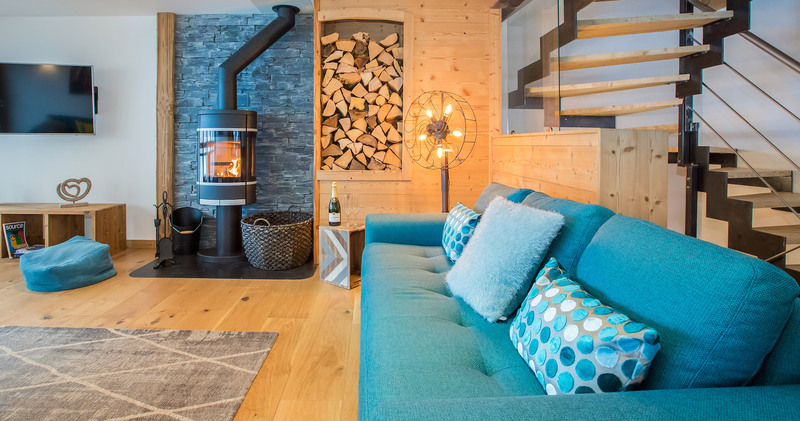 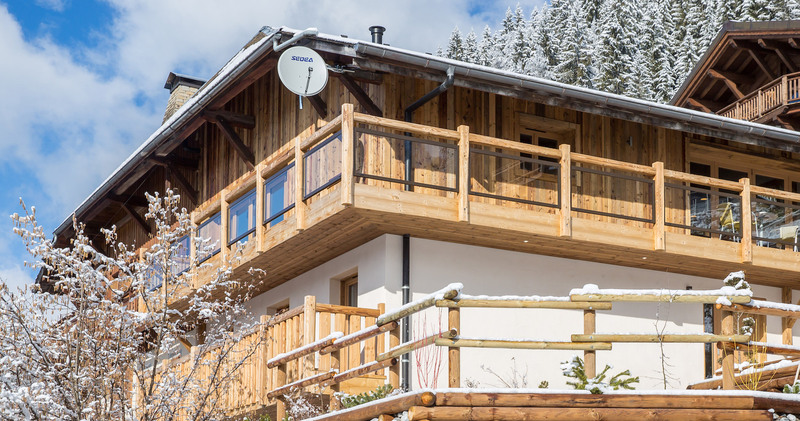 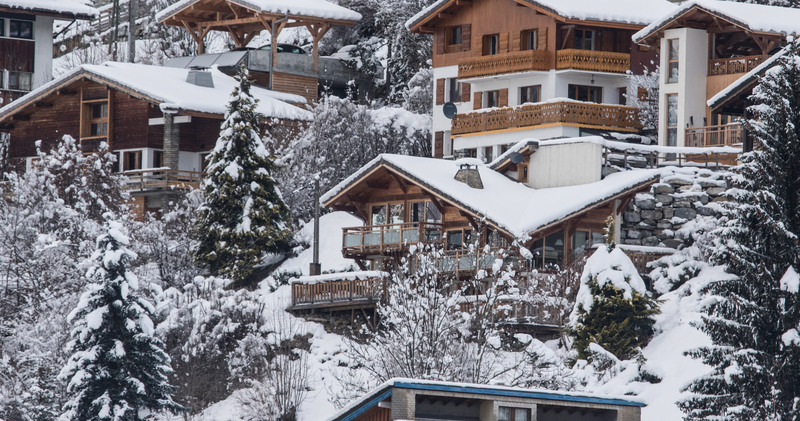 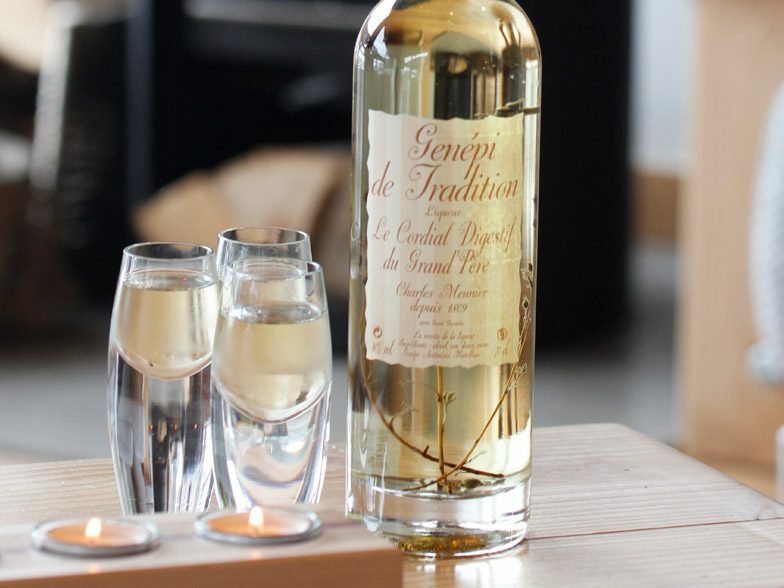 We aim to provide the best possible service in a relaxed, informal and beautiful setting and as owner operators, we are able to run the chalet with flexibility in mind. 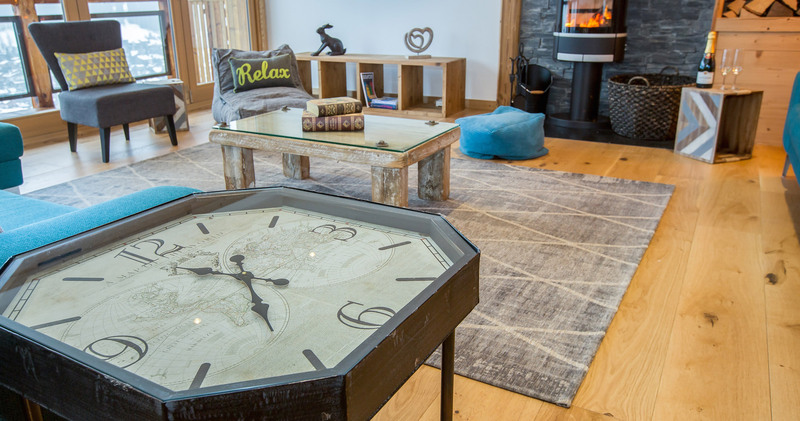 We provide the framework around which you can structure your own personal holiday where decisions about timings – for breakfast, slope runs and dinner can be agreed with us. 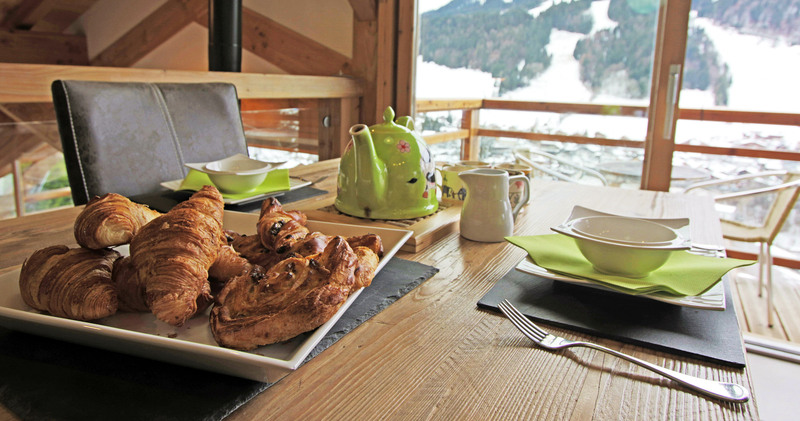 Even choices about food, both for breakfast and dinner can be made by you in advance. 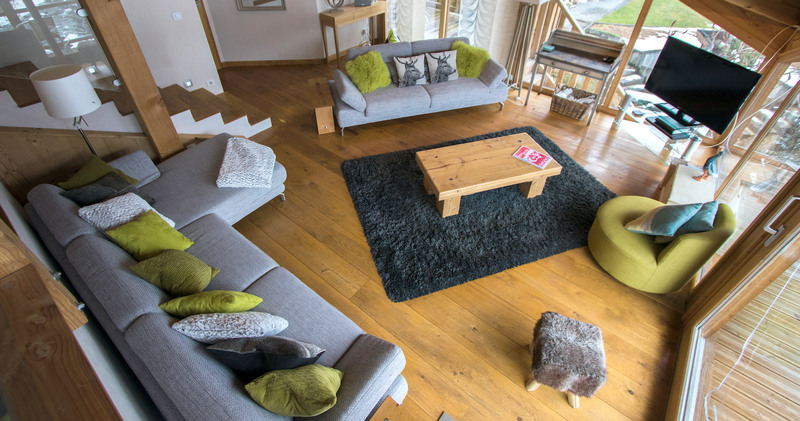 We have short breaks available in JANUARY and MARCH at a daily price of £165 per person per night with a minimum group size of 6. 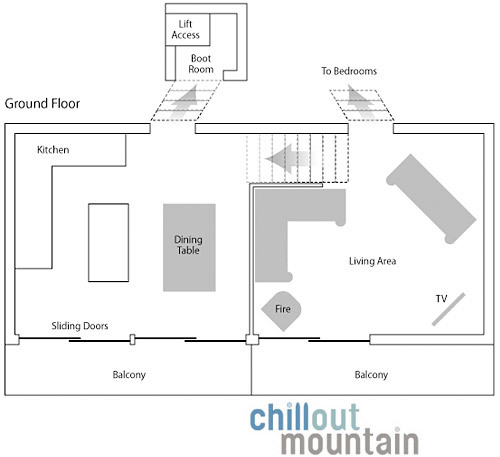 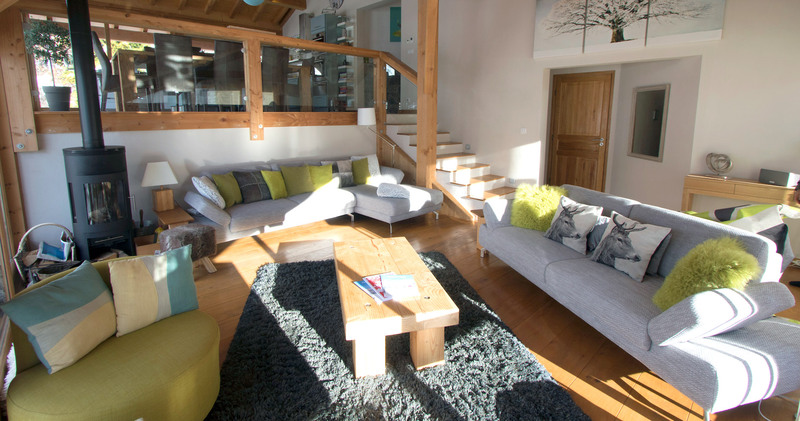 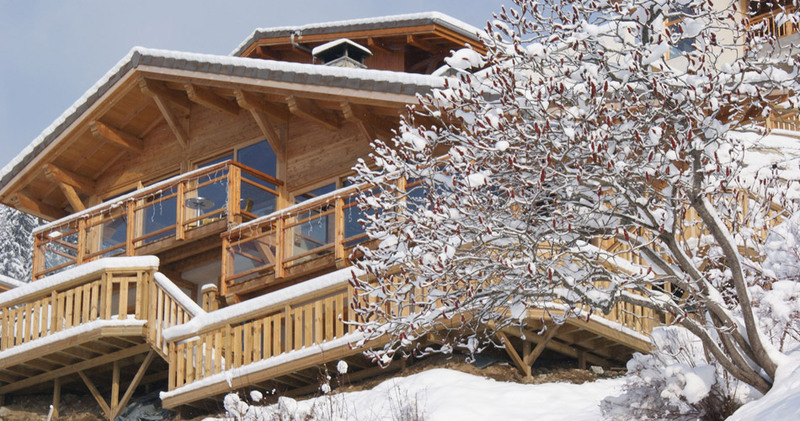 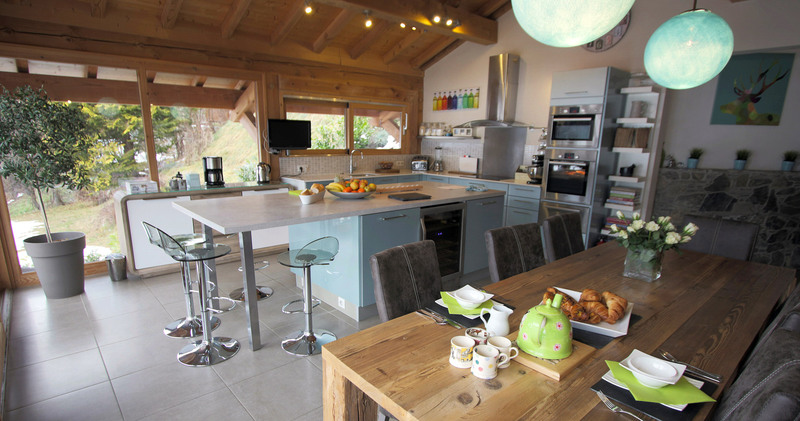 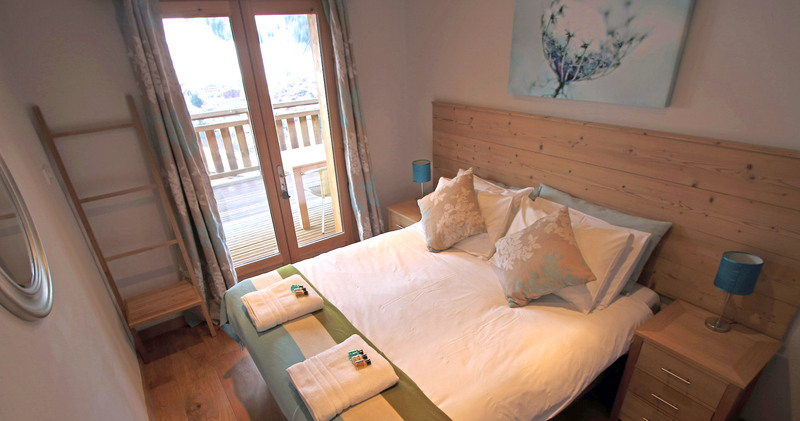 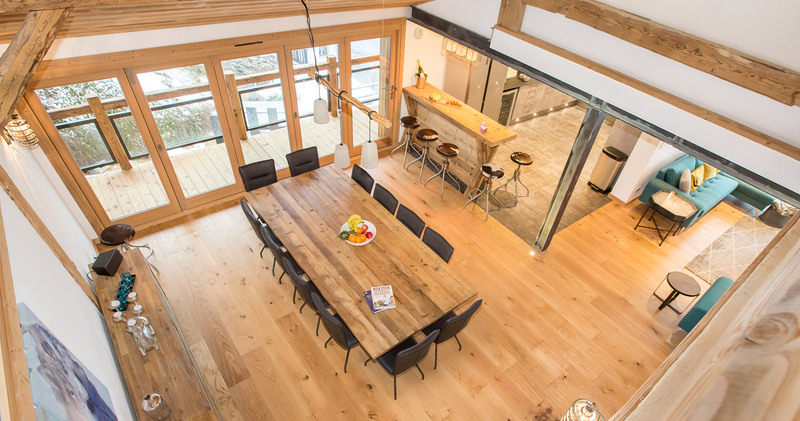 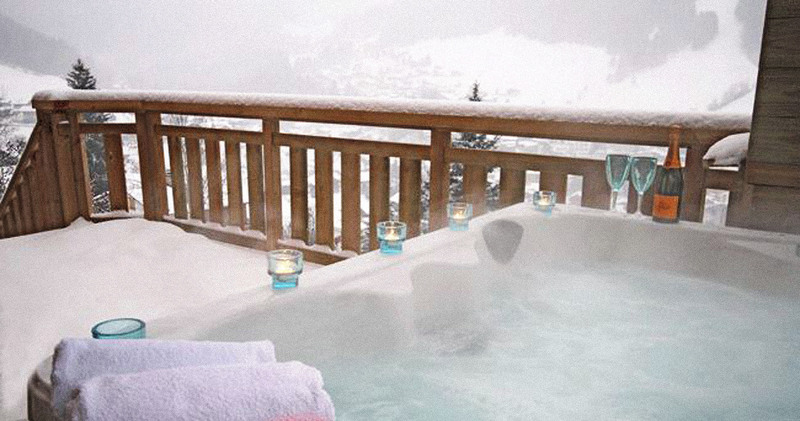 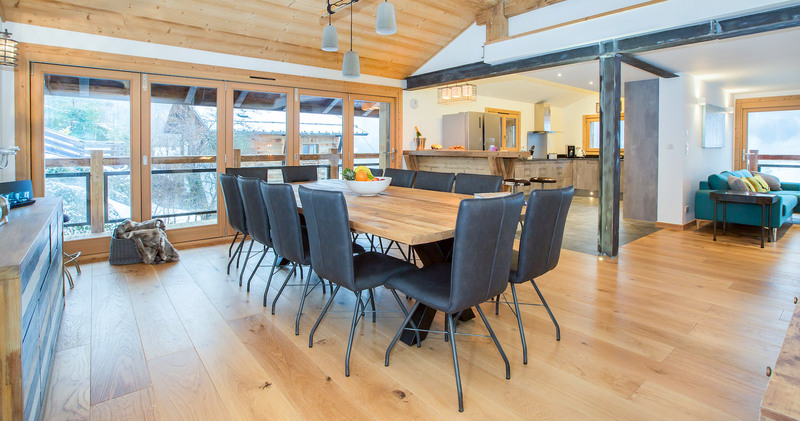 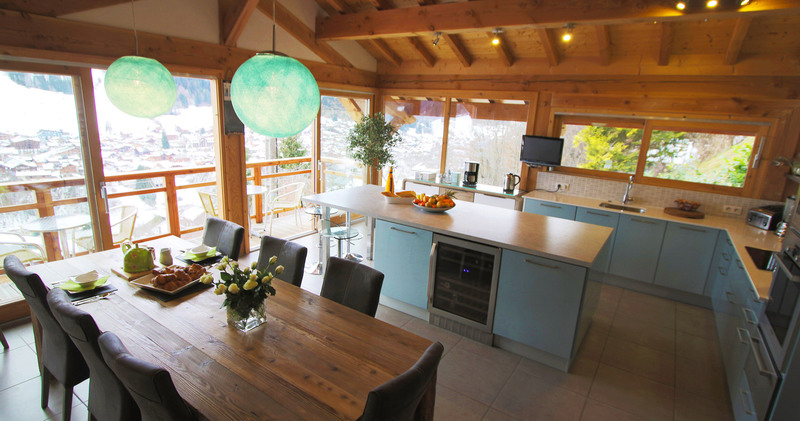 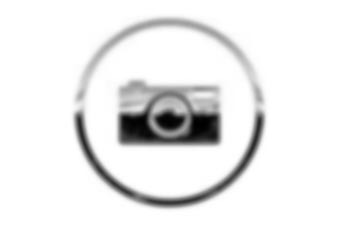 Chalet Caché is positioned in one of the prime locations in Morzine. 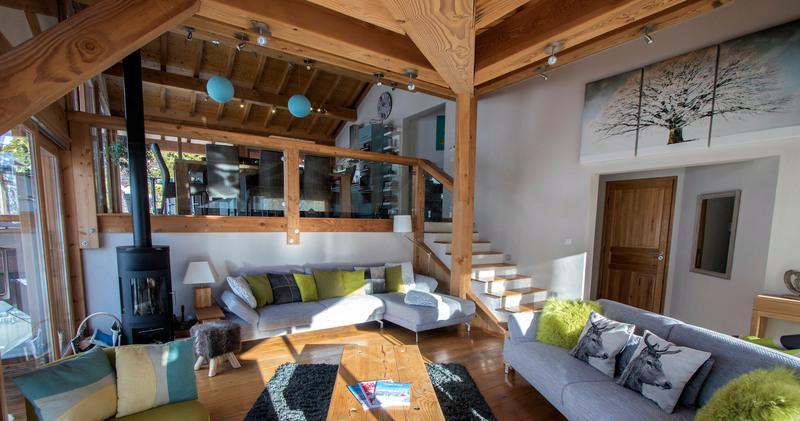 It sits elevated, overlooking the town and the ski slopes, and yet it is just a 10 minute walk down to Morzine. 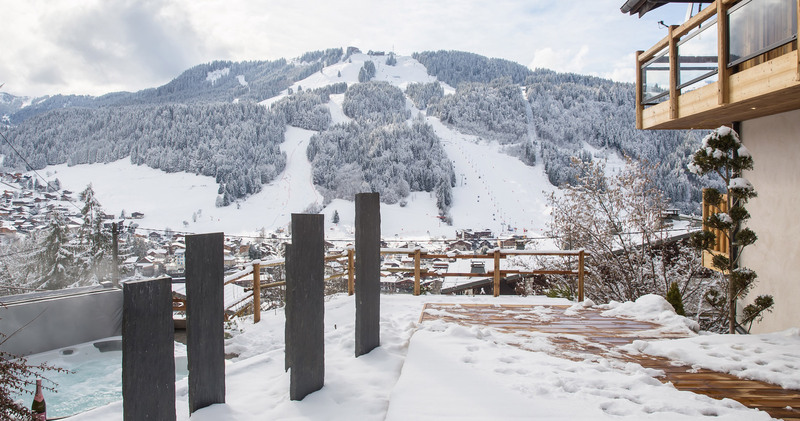 Nearest ski stations are Pleney and Super Morzine, just 3 minutes drive away. 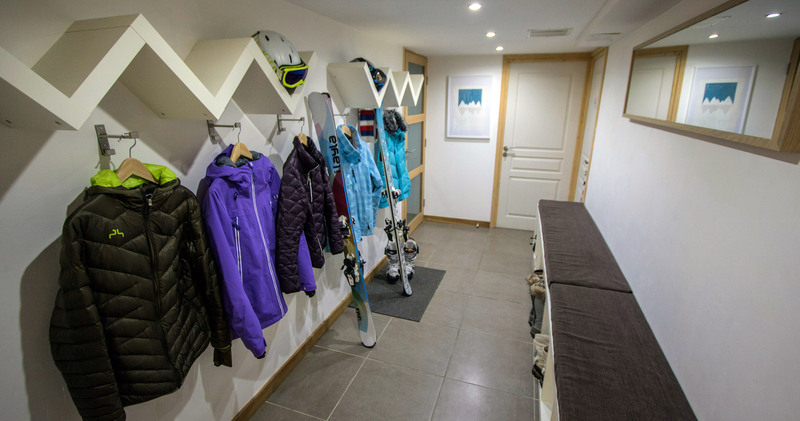 The free ski bus also stops 200 metres from the front door and links to both the slopes and the facilities in town.